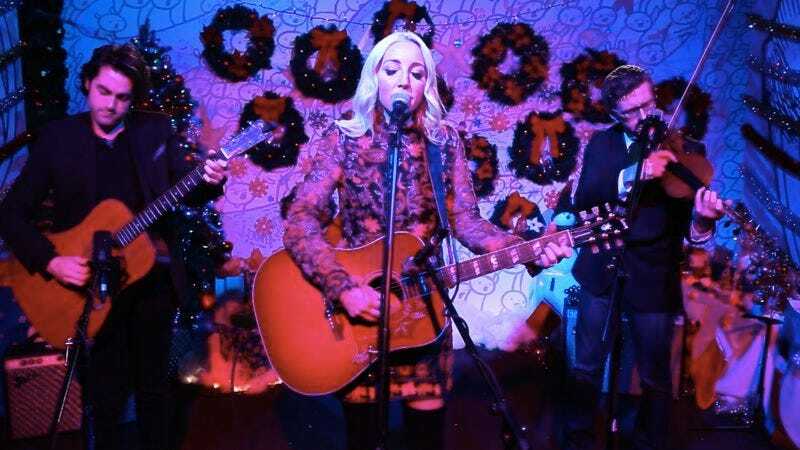 If the name Ashley Monroe sounds familiar to you, then maybe it’s because the country singer/songwriter has been making big waves in the music scene this year. Or, perhaps, you may have heard her excellent Holiday Undercover, which debuted on this very site mere hours ago. Monroe has had a massive 2015 thanks to the release of her critically acclaimed third LP, The Blade, which just recently nabbed her a Grammy nomination for Best Country Album. The Blade is confident, superb, and a must-listen for anyone who considers themselves a fan of quality music, and not just of the country variety. Monroe was nice enough to sign a few vinyl copies of the album for The A.V. Club, and now we’ve got an opportunity for three lucky readers to claim one for themselves. For your chance to win a signed copy of The Blade, simply send an email to avcontests@theonion.com with the subject line “Ashley Monroe.” Please be sure to include your name and mailing address in the body of the email. U.S. entrants only. We’ll select three winners from our eligible entries tomorrow afternoon, who will be contacted via email shortly thereafter. You can watch the music video for Ashley Monroe’s “On To Something Good” below.